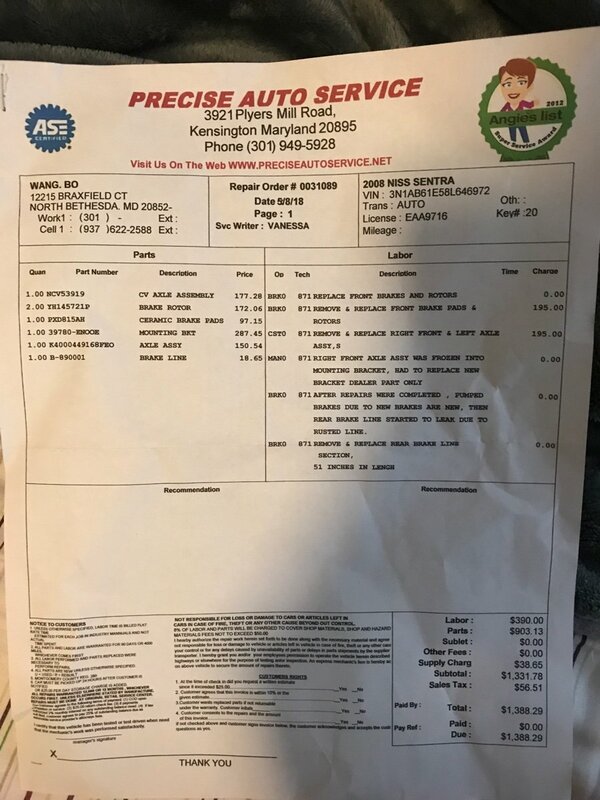 How can I prevent from being cheated at a car repair shop? 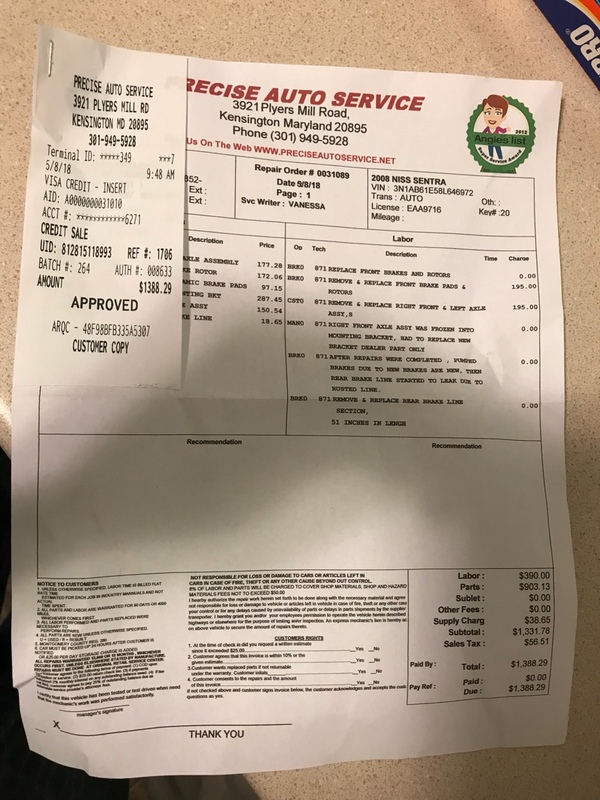 How can I prevent from being cheated at a car repair shop? As a woman, I have no knowledge of cars at all. Does this look like fair charges to you? The mechanic that fixed my car originally had an estimate of 900 something total but then became over 1300 dollars when I was getting it back. Not sure what mounting kit is but you got waaaay overcharged for brake rotors and pads. That complete parts job shouldnt have been over 200 for EVERYTHING, labor is on but parts is waaaaay off. Take that part number for the rotor and google it, its a 36.00 part. This is North Bethesda of Maryland by the way, where things are more expensive than most other places in the U.S. by quite a bit. They are still overcharges in your professional experience? heavily inclined with cars..tell you it is a V6, 2dr Cab.